What Are the Causes, Symptoms, Prevention & Treatment of Dental Fluorosis? Many people think that their children’s tooth care and oral health comes into effect when they start to have teeth break through the gums. This is really a false statement and the health of their gums and developing teeth happen when the child is born. The children have teeth that are developing in their gums that will eventually push through. This means that the teeth are already being developed far before they show up. You need to be sure that you are brushing and massaging the gums from birth. As soon as the teeth start to show up it is of utmost importance to care for them just like you do your permanent adult teeth. The child for several years will need help of an adult to brush and floss to ensure that all the food particles are removed. Small infant and even toddlers often drink milk and juice which can lead to tooth decay. What is Dental Fluorosis? 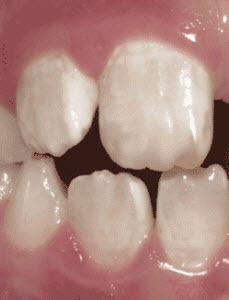 : When people talk about fluorosis they are talking about mottled enamel. That is the term that is used because of the part of the tooth that is damaged. The disorder is actually very common and is found on many adults and children. The most common type of fluorosis is very mild and will show up as small white patches of color on the tooth. The worse the damage is the more of the tooth is covered with the white markings. If you have a more severe type of fluorosis you may see brown stains and damage to the actual tooth. What Causes Dental Fluorosi? : There are some studies as to why fluorosis occurs and what causes it and there are a few options that are common. One is the amount of fluoride that a child has been exposed to during the growth and development of their teeth. This occurs when the child is between birth and about six years of age. Some of the ways that a child can be exposed to fluoride is when they are using dental products. Some mouthwash has fluoride and other toothpastes as well. Fluoride is also common in water. Your town or city may add fluoride to the water that you use to make baby bottles and cooking. Although the staining on the teeth is not appealing aesthetically, it is not normally a reason to be concerned. Dental Fluorosis Prevention & Treatment: Fluorosis cannot be known until it really is too late. The damage is done before you ever see a tooth appear. Once the damage appears, the dentist may offer some remedies to help reduce the look of the fluorosis. We may offer teeth whitening, crowns or resin molds to cover the damaged teeth. The better option is to limit the amount of fluoride that you child is exposed to from birth. 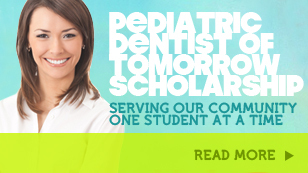 Smile Reef offers pediatric dental exams and treatments so contact our office today. 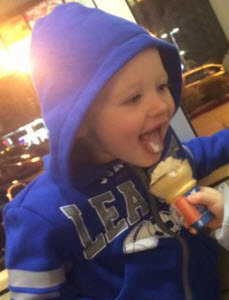 Importance of Primary Teeth Care; What Foods & Drinks Can Impact the Health of Early Teeth? Childhood tooth decay is the number one chronic illness of children in the United States. It should make parents think twice about neglecting regular visits to the dentist because it is highly preventable! If tooth decay is left untreated however, it can have a negative effect on the overall health and well-being of your child. Most adults enjoy fewer cavities, but children ages 2-8 are actually having an increase. It’s no surprise that the biggest contributor to the rise in tooth decay is all the added sugar in our children’s diets. Sugar is the culprit that builds up bacteria and leads to cavities that can be very painful. Sugar is added to snacks and drinks today at rates that make it very difficult for parents to control. Baby Teeth Fall Out; Are Primary Teeth Important? Many parents have the notion that baby teeth aren’t important because they will fall out eventually anyway. This is a big misconception. Cavities that form on baby teeth can spread to the permanent teeth waiting to replace them. If baby teeth aren’t taken care of it can lead to difficult, painful and costly problems in the future. 1. Sugary drinks should be had with meals and water to help reduce plaque formation. 2. As baby teeth start to emerge they should be brushed. Use a soft washcloth or baby toothbrush. 3. Look for brown or black marks on your child’s teeth as these are signs of cavities. 4. Children should have their first visit with a pediatric dentist by their first birthday. Consider having two toothbrushes. Many young children will bite on the brush which will cause the bristles to splay and become ineffective. Allow you child to have a short turn brushing their teeth first and you can follow up with another. Parents can help their children develop good brushing habits until they are 6-8 years old because many children don’t have the manual dexterity to do a good job until they reach that age. Get your children to brush longer with distractions. Twice a day with a soft-bristled brush for two minutes. Set a timer or hum a song that’s two minutes long or use a reward chart with stickers each time they brush for the two minutes. Until your children learn to spit toothpaste out, they should use non-fluoridated toothpaste to minimize swallowing too much fluoride. Older children should use a pea-sized amount of toothpaste and when teeth start touching each other is when you’ll need to introduce flossing. Many children get picky about the way toothpaste tastes so you might have to experiment a little and remember that using water is better than nothing. Limit the amount of juice and other sugary drinks and offer more water to help reduce the formation of plaque. Tooth decay is almost 100% preventable! Teaching your children how to take care of their teeth at a young age is the first step to developing habits that will last a lifetime. Be an example to your children and make sure they see you taking care of your teeth. Good habits and early visits to a pediatric dentist are the surest way to prevent tooth decay. Contact Smile Reef today to make an appointment!